Real Estate in Valencia CA May 1, 2013 – Median prices for Valencia CA zip codes 91355 and 91354 in the city of Santa Clarita CA combined shows that the median price of single family homes ( real estate market trends in Valencia CA) has made a steady although gradual increase over the past year but has leveled out over the past month. Condo medium prices have increased quite dramatically since the beginning of the year but also are showing signs of beginning to level out. 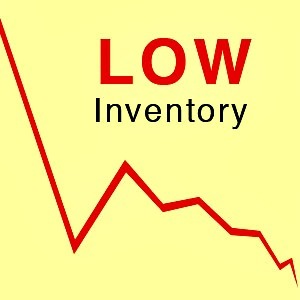 All very interesting considering that inventory is continuing to decline. Why might this be happening? Shouldn’t the median price be sky rocketing? As seen below, the median price per square foot for real estate in Valencia CA has increased greatly for both condos and single family homes since January of this year, and continues to do so. So how do these two graphs relate when looking at market trends in Valencia CA Real Estate? Buyers of real estate in Valencia CA are paying more money for less square feet and the low number of sales is keeping the median price from rising quickly. All indications are that if there were more homes for sale in Valencia CA, we would see an increase in the median price as the backlog of competing buyers would continue the upward pressure on each listing as it comes available. Days on the market for real estate in Valencia CA is dropping, and because the market heat index is still very high, there is an indication that a sellers market is continuing into the Spring and Summer months.